This weekend involved a ton of good eats (including a dinner at the famed wd-50!) and a lot of walking and wandering around on my part. 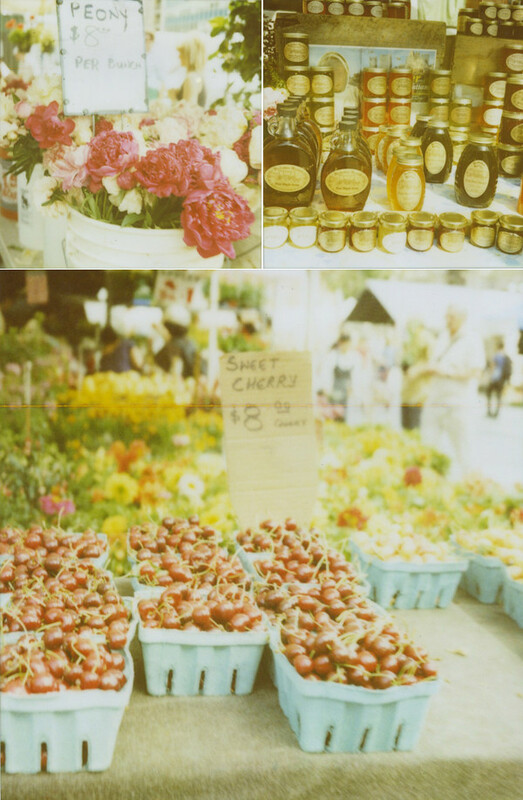 On Saturday, I stopped by the Union Square market and came out with a few Polaroid shots and 2 big bunch of peonies for only $10. I counted and there were roughly 20-25 buds! The last time I bought peonies, I paid $20 for 6 measly buds. No more shopping at NYC sidewalk flower stands. I found out if you go late enough to the market, the flowers go on sale, from $8 a bunch to $10 for 2 bunches. Sweet deal. :D I'll have to pick up some different flowers next time. i am officially adding cherries to my shopping list. gorgeous! We have some old adorable ladies that sell flowers on the street sometimes. I guess they have their own gardens and I just love getting flowers from them!